One of the first actions in Pokémon GO is to choose your screen name. But it is subsequently still possible to change the name, if you no longer like your first choice? In this guide we will show you how you can change your trainer / character name. 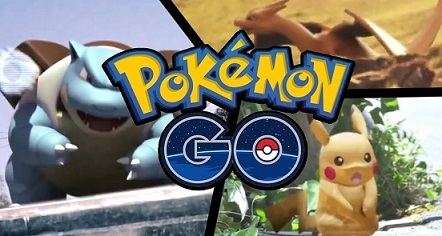 Due to the growing popularity of the Pokémon GO, the servers of the game quickly became very crowded and many of the desired names for your trainers were already assigned and you had to switch to alternatives. Here once you have selected your name then you cannot change it easily. Pokémon GO: Change Your Screen Name - only in exceptional cases! - Nickname changes are only allowed for players that accidentally input their real name or other personally identifiable information as their nickname. This means only if you have entered your real name or other information in your first entry by mistake that identify you, a change of name may be allowed. The processing time of a request for name change may take several weeks before you receive answer from Niantic. If you don’t meet the requirements, then you must continue playing with your current name or create a new account. So I just created an account so that my daughter (9 years old) can play. I got an email saying I needed to create an account so that she could be allowed to play. So I created an account and set (apparently MY) screen name to the screen name I wanted her to have. I did this because I was directed by the email I received to create a parent account FOR MY DAUGHTER. Only after verifying my account does it tell me I need to ADD A CHILD, which apparently includes using a new/different screen name. Obviously, I cannot assign her the screen name I want her to have because it is assigned to ME (I don't even want to play the game or even have/need a "screen name"). I tried to go into my profile and change it but of course this is not possible... I went ahead and opened a support request explaining my problem. According to this post, I will be denied to change MY screen name? I requested if possible that my screen name be changed to the same name my username is. Am I wasting time waiting on a response from their support? Should I go ahead and delete my account/recreate it? Would doing this even free up that screen name? Anyone who has any fact-based advice on my situation?